The other day Noah encouraged his second graders to ask him questions by writing them on pieces of paper and handing them in. That way they could feel free to ask anything they wanted. The following four "questions" were among his favorites, and should give you a little insight into what American seven-year-olds are wondering about these days. "Once I was watching Dr. Phil and there was this Lady and she drank alcohol and one day she slept in her back yard and started Barking." 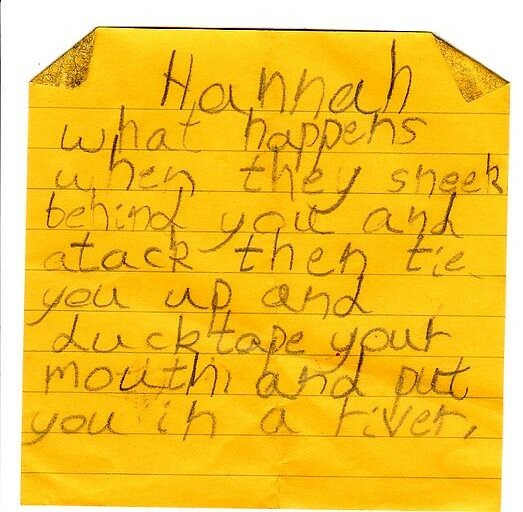 "what happens when they sneek behind you and atack then tie you up and duck tape your mouth and put you in a river." 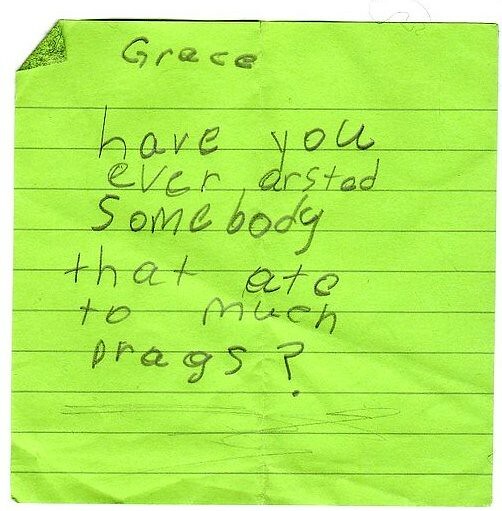 "have you ever arsted somebody that ate too much drags?" As to the monkey question, I smell a second science experiment! i think the thing that disturbs me more than anything else is that second-graders are apparently being exposed to dr. phil. this is a problem. Are you going to do a part 2 for how Noah responded to these questions? O please do! Wow, those are too funny. The other day at the Opera a nine year old asked me what it meant when a womens water broke! 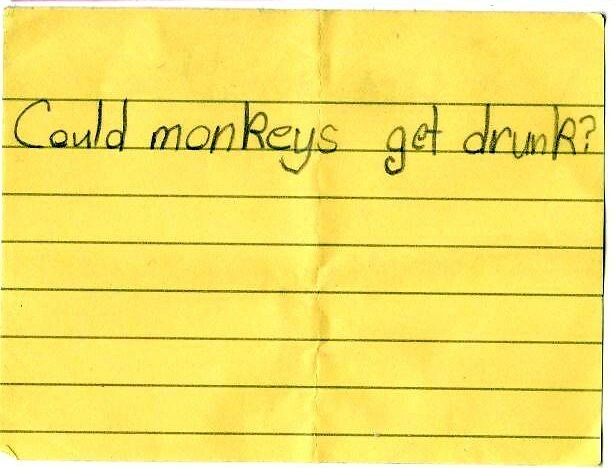 I want to see a drunk monkey. Preferably in some sort of fez. I am laughing but it's important to note the tears on my insides. Also the answer to that monkeys one is yes. I kind of want to vote that kid president. I think the only thing I had in common with these kids when I was 7 was that I also thought it was "duck tape." At least some things never change? you do write very well! Sterly—That's exactly how I keep from ever getting drunk. magnolia—I know, right? I mean, DR. PHIL. I hope she at least started on Oprah. KL—I'm trying to convince him to guest post. Costume Diva—I would have said, "She must have dropped the bottle." Dan—Costume idea for Halloween next year: a Fez, a faux tail, and a lot of alcohol. Jen—me too. Although because of my grandmother I was up to date on General Hospital. John—Awe shucks! Glad you're enjoying it. Second grade may not be what it use to be but I think the news shows more than it use to in our day! Wow. 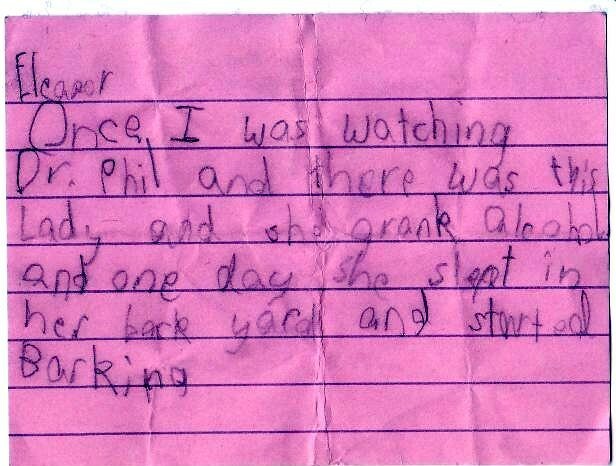 Dr. Phil needs to be scheduled for the evening hour apparently after children go to bed but did you ever find out why she drank and ended up in her backyard barking?